Wait, it Costs $40,000 to PATCH a Console Game? Well, this is bananas. According to Double Fine's Tim Schafer, the cost of getting a patch up on a modern console (presumably he means the Xbox 360 and/or PS3) is $40,000. That's not to upload downloadable content. That's just for a patch. 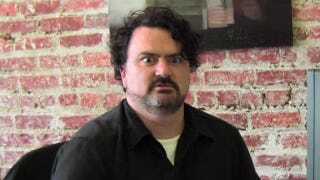 "Those systems as great as they are, they're still closed", Schafer told Hookshot. "You have to jump through a lot of hoops, even for important stuff like patching and supporting your game. Those are things we really want to do, but we can't do it on these systems. I mean, it costs $40,000 to put up a patch – we can't afford that! Open systems like Steam, that allow us to set our own prices, that's where it's at, and doing it completely alone like Minecraft. That's where people are going." That and, you know, Kickstarter.